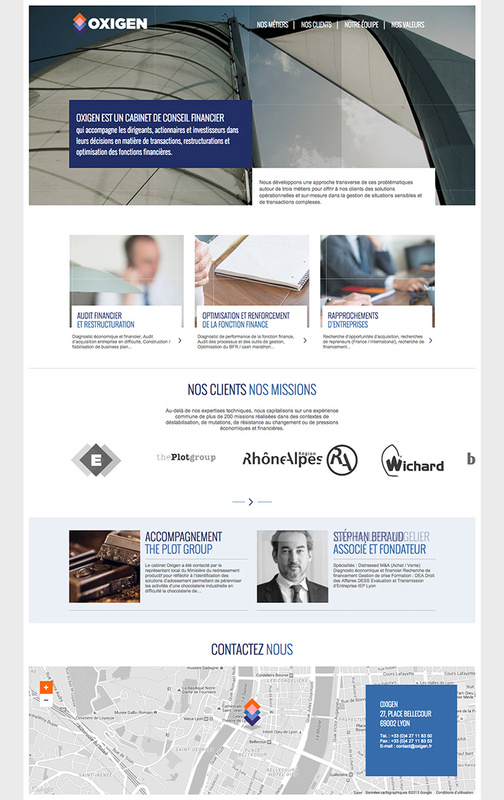 www.oxigen.fr is edited by SARL OXIGEN capital of € 20 000, 16 RUE GRENETTE 69002 LYON, registered in the commercial register of Lyon, France, under the company number 494 227 473. All editorial content on oxigen.fr are protected by French law and international treaties (Berne Convention, Code of Intellectual Property Book 1). They can not be copied without the express permission of OXIGEN. Any reproduction, even partial, is strictly forbidden. Non-personal data are collected while browsing through a system of cookies for statistical purposes. These files stored on your computer allow OXIGEN to record informations about your browsing on www.oxigen.fr (pages visited, date and time of consultation). In any case these data will allow us to identify you, they are intended only to help us provide easier access to services offered and improve this website. You can oppose the registration of cookies by configuring your browser as detailed on the website of the Commission Nationale Informatique et Libertés (CNIL).